While a high school reunion is all about reconnecting with friends, it’s also about remembering those who can no longer join us to make that connection. Cathy Kam Ho designed the memorial display (“We Remember”). Babs Miyano Young arranged the white anthuriums and fern. The memorial movie played on the laptop to the right. Before the Friday night party began, a short service was held to remember our departed classmates. To introduce them, Heidi Hemmings Hall read the classmate names one-by-one, a roll call for the deceased. 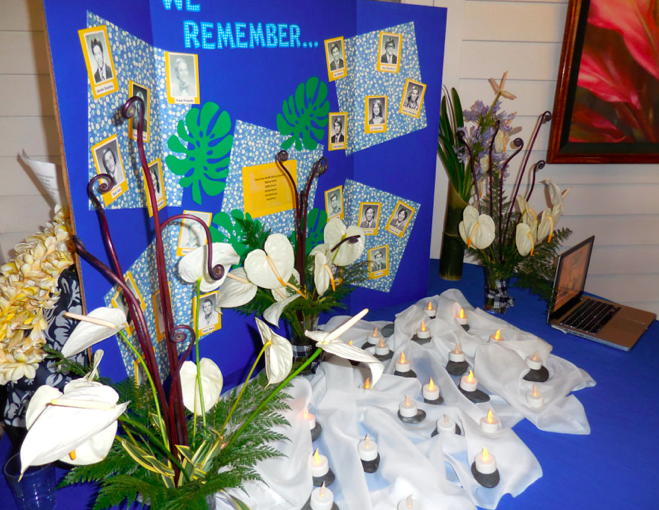 Next, electric votive candles were lit, one per classmate, and placed before the memorial display–that was assembled by Cathy Kam Ho–to pay homage to each individual. Throughout the evening the table would serve as a place where party attendees could stop by to reflect, to ponder, and to remember each person pictured. To further rekindle the memories, Mary Jane Markoskie spent hours assembling photos from our many Na Opio and Oahuan annuals. She did a meticulous job identifying and bringing a wide range of photographs that showed our classmates involved in a wide range of activities. These were pulled together into a movie, “We Will Remember You,” that was played throughout the party. Shown below is that movie. Note that, while there was music when this was played at the party, YouTube does not include it with this upload. Thanks also to the Kamehameha student who provided the technical know-how to put this piece together. Do you remember our departed classmates? 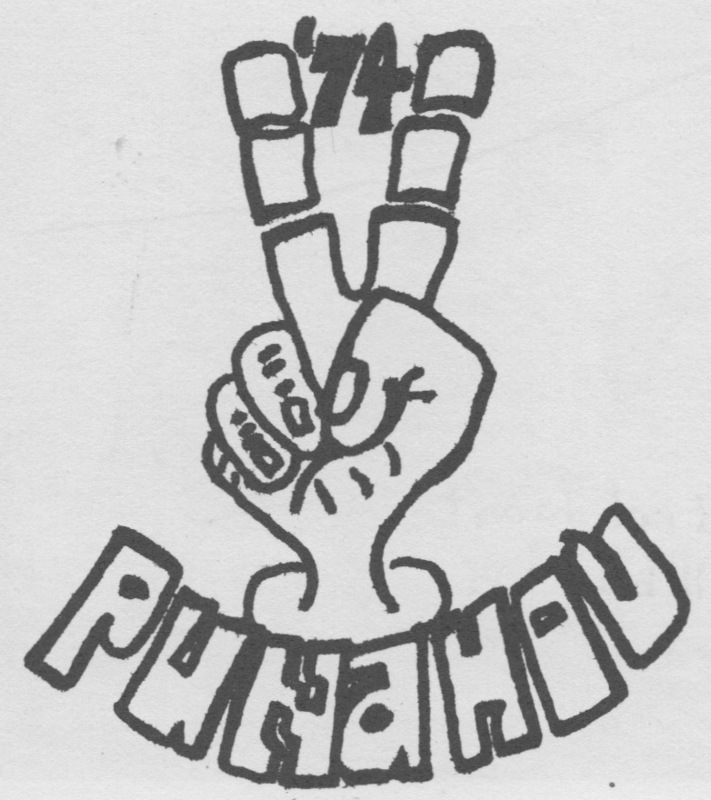 Listed below are the twenty-five who left Punahou74 all too soon. Individuals with an asterisk passed away since our 35th reunion. Gone but not forgotten. Rest in peace. And rest in peace to Scott Metcalf who joined this list shortly after our 40th reunion was completed. A wonderful memorium, especially the quote by Roy Rathburn! If it weren't for the women in our class, I'd never know I was middle-aged? 25 years ago, Lisa Matsumoto chided me for not realizing that I wasn't young anymore! She said, "You guys, my husband included, still think that you are 18, seniors in high school, and BMOC!" What would we do without you? Mahalo, Mike PS-Off the record, private correspondence, please!